An early life of poverty exacerbated by the death of his parents in his early teens helped to cruelly mould the young Jerome. After early stints on the railways, as an actor, a journalist, a school teacher, a writer, and a solicitor's clerk he had some minor success with a collection of comic personal essays On the Stage - and Off about his earlier stint as an actor. Shortly thereafter he married and his honeymoon on the Thames became the inspiration for Three Men in a Boat. This, of course, was a wild success both critically and commercially and also his creative high point. Although he was now able to write full time he was never able to again reach the heights of that classic humorous novel. However, he was prolific in the shorter form and it is from that rich seam that these stories have been mined. If this was anybody else's work it could be said this is a great collection of stories. 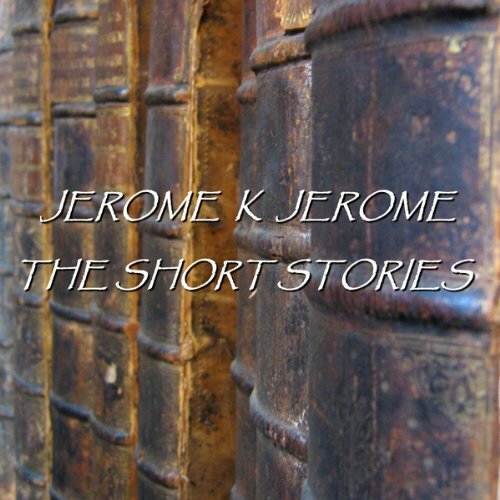 Jerome k Jerome sets such high standard that this one is not at the top, but still very very good and worth the listen. minor poet story: first this appears to be a chauvinistic story but don't stop, J makes fun of everyone!